Hamilton won four races in a row to put himself on the brink of the championship but Mercedes had problems in the United States and Mexico GPs. He clinched the crown last weekend finishing fourth, the first time he failed to stand on the podium since the Austrian GP at the start of July. Hamilton said: “I still have work to do. I’ve still got to get back to the factory and rally the troops to figure out how we can come back and win these next races. “I have no idea why I struggled so much in these last two and we all feel the pain of not winning those races. “We still have the constructors’ championship to win, which I know will mean even more to all the guys back at the factory. Mercedes struggled with rear-tyre blistering in the US, which led to suggestions the performance drop-off could be linked to the team dropping the rear wheel rim design that Ferrari contested. 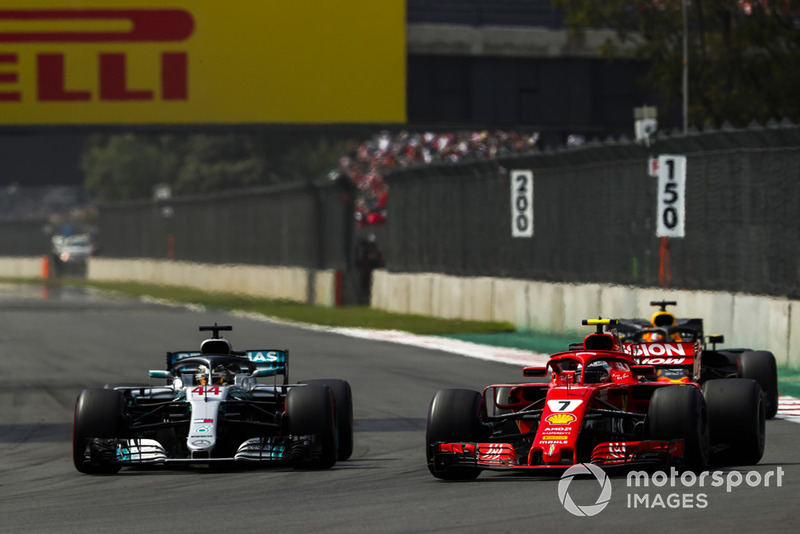 However, Mercedes’ problem in Mexico was that it was harder on its front-left tyre than rivals Ferrari and Red Bull, indicating it was nothing to do with the wheel rim. One theory is that Mercedes was simply caught out because both race weekends followed odd Fridays – with the US GP preceded by a pair of wet practice sessions and high altitude and a slick surface playing their part in Mexico. “I don’t think we had one single lap where we actually switched the tyre on,” Mercedes team boss Toto Wolff said after the race. Hamilton said he would try to “cherish” the moment of matching Juan Manuel Fangio in winning five titles because it would swiftly be replaced by the remaining priorities for this season. He also reiterated he felt “conflicted emotionally” because he wanted to celebrate winning the title but had done so through a difficult race, in which Ferrari cut into Mercedes’ constructors’ lead again to reduce the deficit to 55 points. “It’s not a bad finish and ultimately it’s what we needed we’ve still got a team championship to win,” said Hamilton.